You naturally want a highly-resistant not slippery product for your bathroom floor. 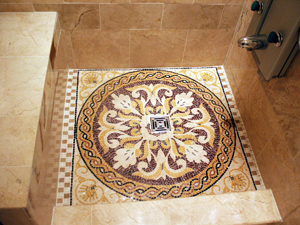 At Mosaic Marble, we design floor tiles with more texture specifically made for that purpose. 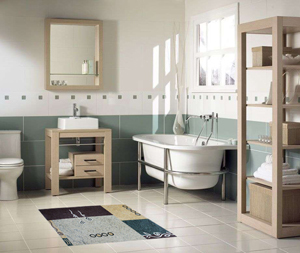 Water and stain resistant, they are easy to maintain and a perfect option for your bathroom. 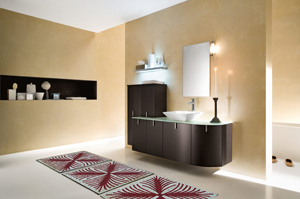 We offer you an attractive variety of choices that will satisfy all your tastes and help you add a nice and creative touch to your bathroom.